The City of Port Alberni and Community Futures Alberni-Clayoquot are excited to partner on the business façade improvement project. We are in the process of a long term re-branding initiative in order to assist with the attraction of new businesses, residents and visitors. Fees and Charges - R.C.M.P. Volunteering with the Port Alberni R.C.M.P. 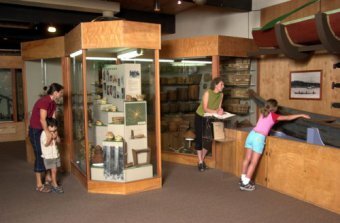 Alberni Valley Museum is always accepting Volunteers! Come join the Museum Volunteer Team! Opportunities are available with the Education Curator. Volunteer shifts are normally scheduled for day per week, from 3-4 hours. Week schedule runs Tuesdays to Fridays. Training for volunteers is provided. © 2019 City of Port Alberni, 4850 Argyle Street, Port Alberni, BC V9Y 1V8.